I’m a dad – as of this writing – my daughter is 5 years old and we live in Queens, NY. I really enjoy working with people and building software – and I feel I’m extremely lucky in that. I’ve been around the block a bit when it comes to software – I’ve coded, managed projects, run my own company, written a couple of books, edited a couple of online journals, and worked with and learned with a huge amount of talented people. I currently work for Industrial Logic and I’m really excited to have started Agile Culture New York – a user group exclusively focused on the individual human dynamics and business cultures that result in high performance teams and organizations. I’m really approachable – so if you find something that you read here really great – or really terrible – I’d like to hear from you. 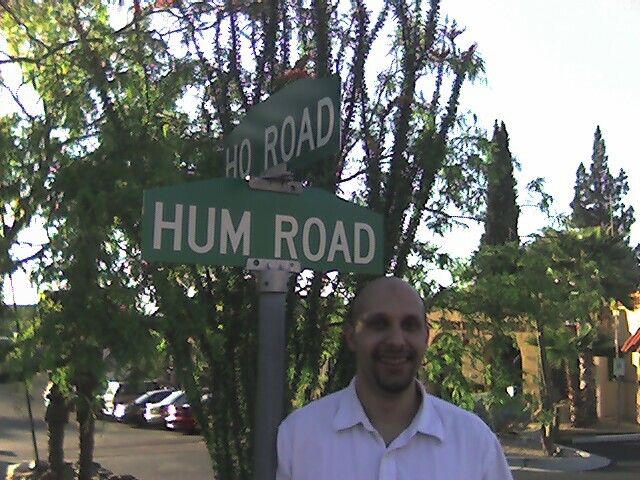 At the intersection of Ho and Hum. Muchas gracias por invitarnos a conversar con Usted. Me gusta su trabajo, he trabajado en equipo, serví de coach y tuve la experiencia de pertenecer a cluster también. Le envié un mensaje personal a su cuenta de facebook. Thank you very much for inviting us to speak with you. I like your work, I have worked as a team, I served as coach and had the experience of belonging to cluster well. I sent a personal message to your facebook account.